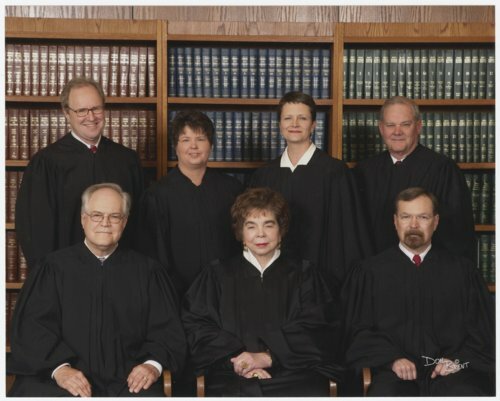 This is a photograph of the Kansas Supreme Court justices (left to right) front row: Hon. Robert E. Davis; Chief Justice Hon. Kay McFarland; Hon. Lawton R. Nuss; second row: Hon. Eric R. Rosen; Hon. Marla J. Luckert; Hon. Carol A. Beier; and Hon. Lee Johnson.